Downtown Denver transformed into a festival of cultures and ideas when delegates from the United States, Canada, Colombia, Mexico, Chile and Cuba convened during the 2015 Biennial of the Americas in July. In 2007, Boettcher Foundation helped establish this festival of ideas as a signature event in Denver and helped to restore the McNichols Building as part of the lead-up to the Biennial. The event’s unique ability to connect a wide variety of leaders from across the world and bring them to Colorado to discuss solutions for current issues motivated the foundation to increase its partnership for the 2015 festival. Boettcher Scholars and alumni were invited to attend a variety of events, including international speakers, panel discussions, art exhibits and musical performances. Six Boettcher Scholars interned for the Biennial—bringing their talents to the coordination and execution of the busy week. 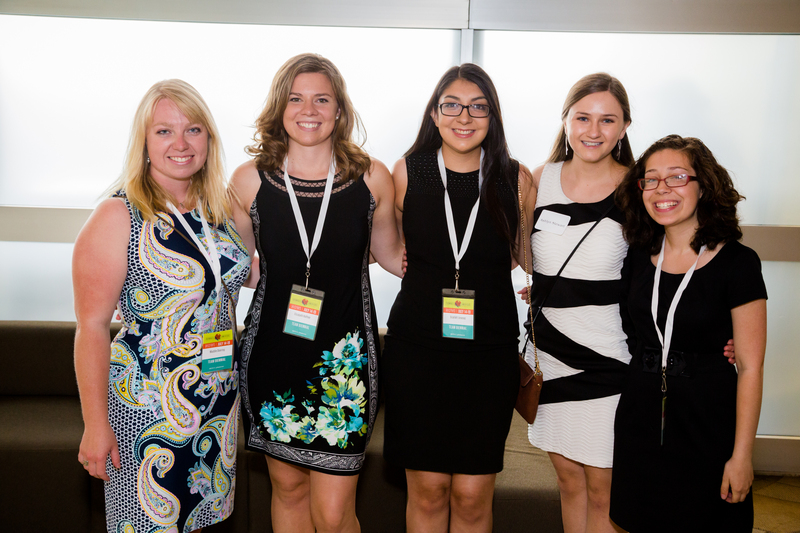 Boettcher Scholars serve as Biennial interns. Healthcare and research was a primary topic during the Biennial, providing a unique opportunity for Boettcher Investigators and their international peers to participate. “Bioscience is a highly collaborative field. Investigators regularly join forces—many of them with researchers from other countries. So the international forum that the Biennial provided was a great opportunity for them to share ideas,” said Julie Lerudis, grants program director for the Boettcher Foundation. 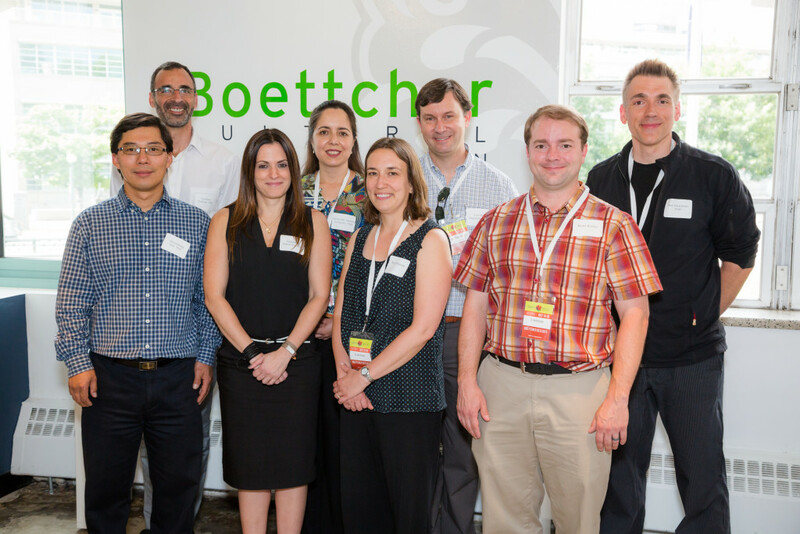 Investigators from several Colorado institutions invited their colleagues from Canada, Uruguay and Brazil to attend the events with the Boettcher Foundation. 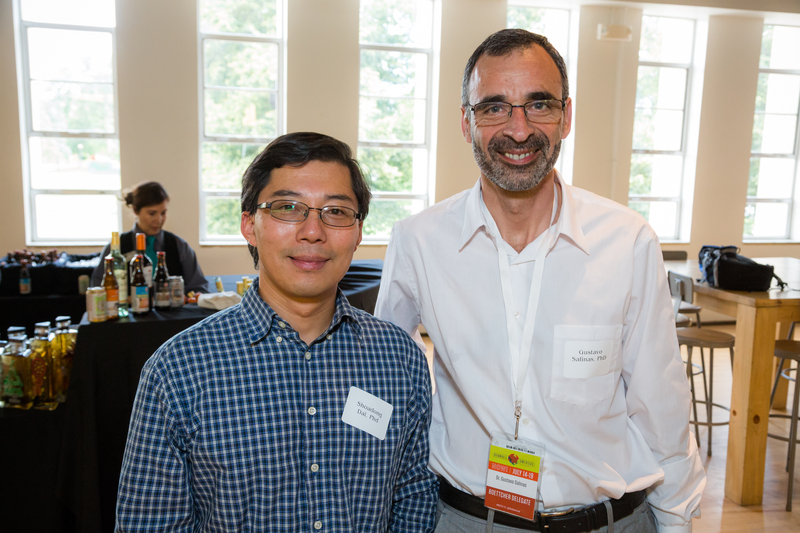 Boettcher Investigator Shoadong Dai had been working with Gustavo Salinas from Uruguay remotely for five years, but they had never actually met until the Biennial of the Americas. Investigator Abigail Person invited her Canadian colleague and expert in the field, Kathleen Cullen. As a result, Kathleen learned about the many scientific advancements being made in Colorado and plans to initiate even more collaborations with the state’s researchers. Shoadong Dai and Gustavo Salinas. As part of the Biennial week, investigators and their guests had the chance to meet with Boettcher community members, speak as part of an expert panel, tour the state’s research institutions and of course, experience the vibrant culture of Denver. During a brainstorming session to enhance Boettcher Foundation’s Webb-Waring Biomedical Research Awards, the investigators and their guests suggested ideas that could further advance the Colorado bioscience community. Additionally, the Boettcher Investigators and their colleagues were able to give back to the life science community at the various Colorado institutions, as many of them hosted presentations for fellow researchers. Boettcher Investigators and their international colleagues.